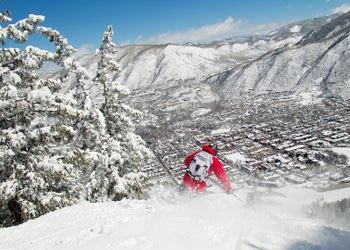 Join us for a week of skiing at the infamous Aspen Ski Resort. There is something for everyone in Aspen. With four mountains to visit you will not get bored. 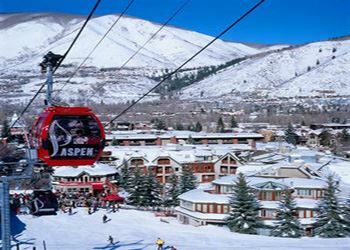 Aspen Mountain is the closest mountain to the downtown area...this mountain has bumps and steep terrain for the more advanced skiers. Snow Mass is a huge mountain boasting 3,362 acres of skiable terrain and is a short bus ride from downtown. Aspen Highlands is also a short bus ride away and is known for the Highland Bowl. Last but certainly not least is Buttermilk known for it's lovely, wide blue and green runs. We are staying at The Gant Condos again...which is a walk into the beautiful town of Aspen. Or, the Gant offers a free shuttle service that runs about every 15 minutes. In Aspen, you will find over 300 shops, restaurants and bars. Additionally, we have our Club Nastar races during this trip with an awards ceremony and closing dinner on our last night in town. If you would like to fly into EGE (Vail) airport, there is an additional cost of $325. Price includes air, transfers, condo, welcome reception, awards dinner and pre-party. 5 days of lift tickets. 6 days of lift tickets.